Kuula has been my favored website for uploading and displaying 360 photos. Kuula was created as the perfect place to share 360 panoramas; here you can upload, edit, share and view your 360 images as well as explore other people’s collections. Think of it as the instagram of 360 photos. Kuula recently updated their platform to allow you to create 360 tours, a popular use of 360 panoramas. You can create and edit a virtual tour for free, however if you want to share or embed it you’ll need to pay for Kuula Premium While there are other platforms that allow you to create VR tours, Kuula offer a very reasonable monthly rate which also bags you some other benefits. It’s certainly now one of the cheaper places to upload and host 360 tours. The tour is quite basic, but Kuula allows you to add information points including text, links and videos, all of which open within the tour itself. In order to create the tour you’ll first need to shoot your location with a 360 camera. 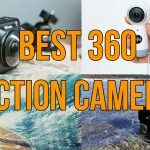 You can check my post about the best 360 cameras for photography if you’re yet to get one. I would advise shooting each 360 image at least one or two meters apart; in most cases this is enough to cover an area without creating a huge amount of work. Once you subscribe to the Kuula Premium service, you’ll be able to upload and create virtual tours. To do so,go the “collections” tab which is where you can bulk upload your images. I’d advise sorting them in the order you want before uploading. Once all of your images are uploaded you’ll be ready to edit each one. Unfortunately there is no way to bulk edit, so you each one you’ll need to add a connection to the next. It would be good if there was a quicker way to do this. Here is where you’ll view your image, add a connection to the next image in your tour and add any text/video or information points. To connect to the next panorama you need to add a “hotspot”, which can also be a text box or a YouTube clip. You can select what icon the hotspot uses to make it clear what it does. You don’t need to add video or text to your tour, but doing so adds more value and encourages people to continue to explore the virtual tour. Kuula also allows you to add filters, which I did for my tour to increase the visibility of the bright colors. Again you need to do this for each individual panorama, hopefully a bulk option will be available at some point. Once you’ve finished connecting your images together your tour is ready to go. You can share on Facebook with a direct link, or even embed the tour on a website. The Kuula VR tour feature isn’t the most comprehensive in terms of features, but it’s very easy to set up, use and share. You can see more examples of Kuula’s VR tours here. 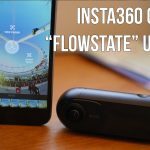 Insta360 One "FlowState" & Firmware Upgrade. Here's What it Looks Like!